Yes, that’s right! 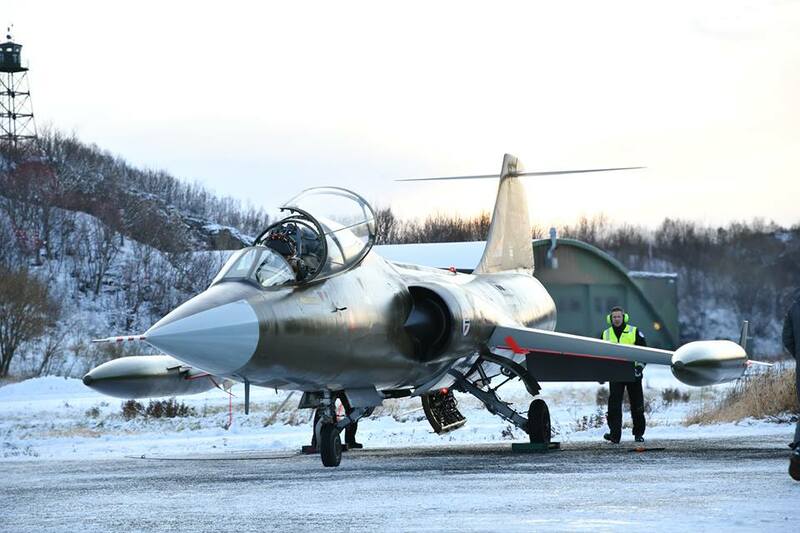 The Norwegian Starfighter keeps us coming back to our glorious past with the F-104 Starfighter in service with many Air Forces in Europe, a difficult past to forget for many aviation enthusiasts. 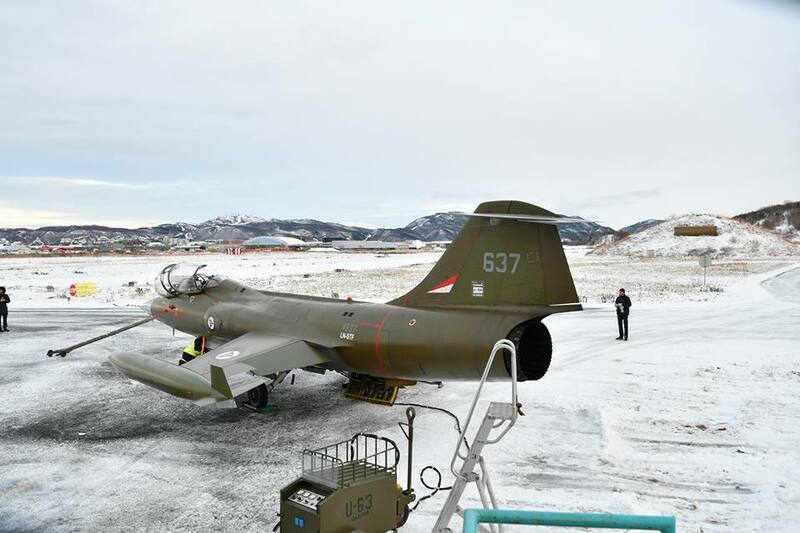 The former Royal Norwegian Air Force CF-104 D 637 (LN-STF) returned live the third flight last November 18, 2017 from Bodø Air Base. 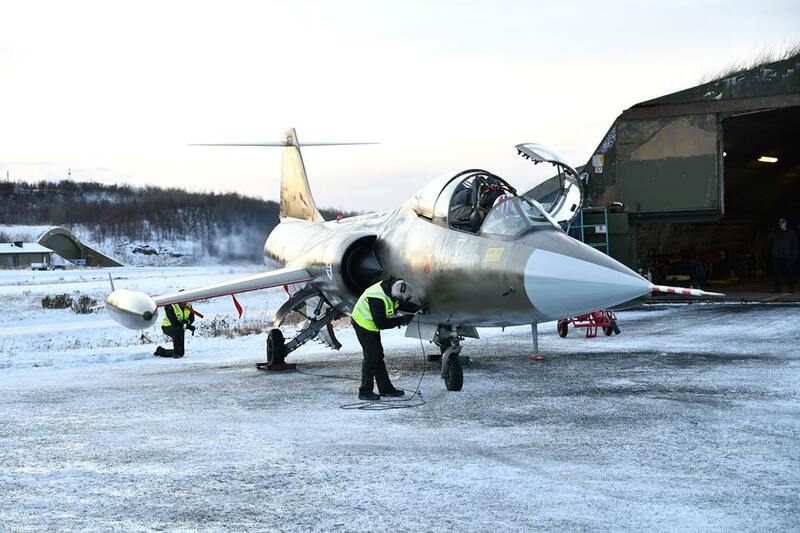 The Norwegian F-104 was restored by the “Friends of the Starfighter” Association, a restoration that lasted for thirteen years and which has definitively restored the F-104 Starfighter in September 2016. The first flight took place on 28 September 2016, the second was in June 2017, while the participation at the Sola Airshow in Stavanger, scheduled for 10-11 June 2017, was canceled for an engine failure. The third flight was scheduled for Friday 17 November, but due to bad weather conditions it was postponed to the next day Saturday, November 18th. 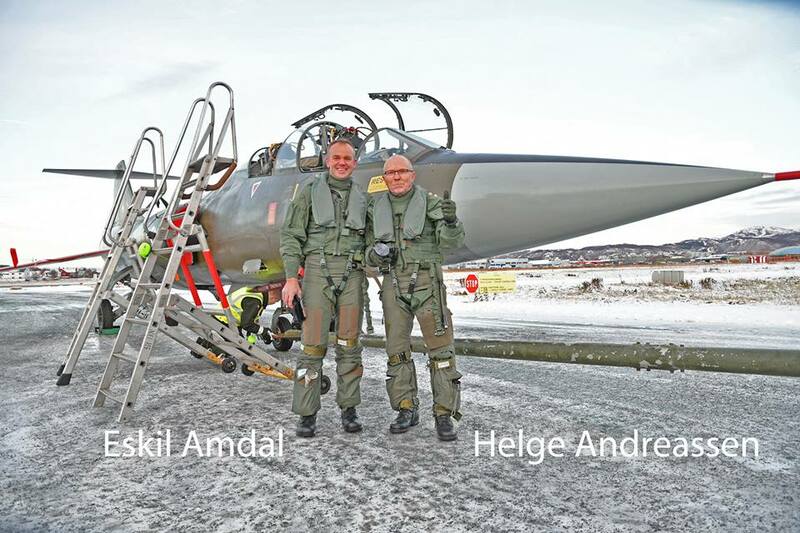 Departed at 11:30 am, Starfighter with the pilot Eskil Amdal and as passenger Helge Andreassen’s chairman of the association, the flight was led to a less than 5,000 feet. 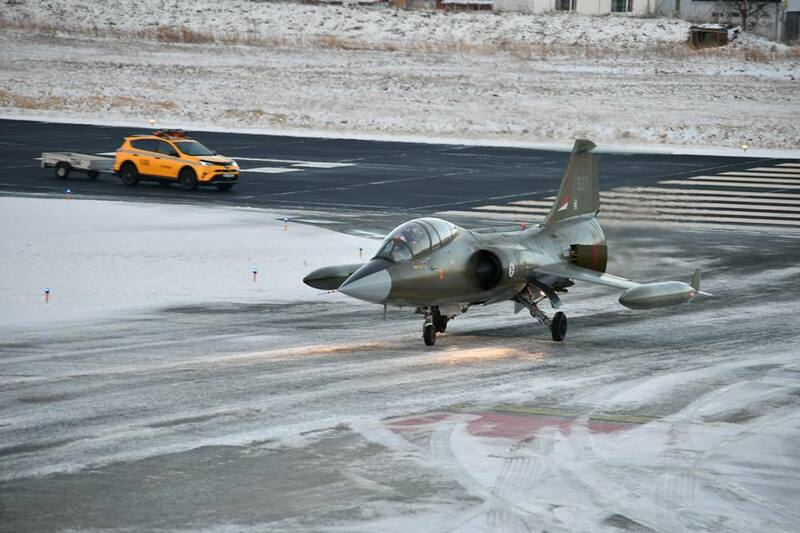 During the flight it flew over the cities of Evenes and Svolvær before return to Bodø where before landing the F-104 made two approaches to the runway. The work to bring the Starfighter under flight conditions was officially started in 2003. The plane, previously registered Starfighter 637, has now received LN-STF registration. Arrived in Norway on June 15, 1973 il remained in service until March 1983. 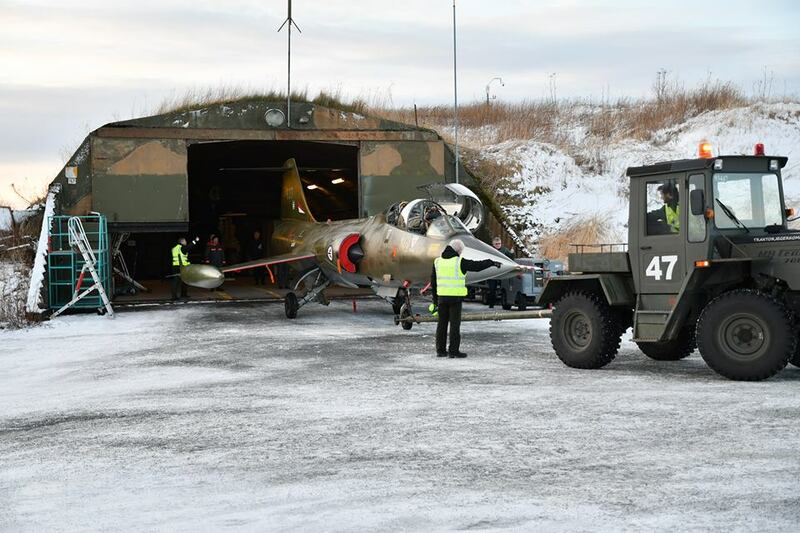 After leaving active duty, the combat aircraft was stored for 11 years at Bodø air base, and then transferred to the Norwegian Air Force Center where it was exposed for several years. In 2002, the plane returned to Bodø. 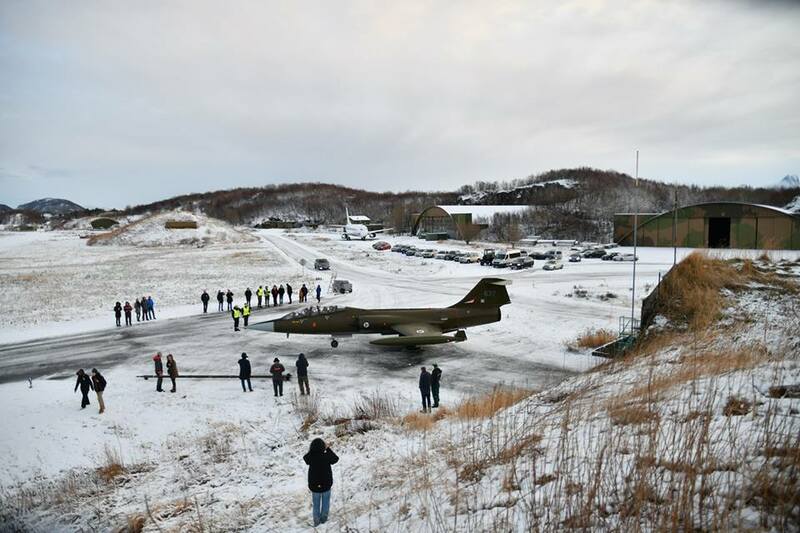 In 2003, the “Friends of the Starfighter” Association was officially formed with the aim of divulging the story of the famous American figheter jet in Norway and for the wonderful goal of bringing the “637” back into the air. The next flight, according to the president of the “Friends of the Starfighter” Association, is scheduled for early summer next year after the ejection seats will be refurbished in England. The F-104 Starfighter was projcted, developed and produced by Lockheed company, the same as Raptor, Blackbird and Lightning II, but was licensed to a number of industries in different countries around the world. With its after-burner coughing at the ignition, the great thrust that literally push the pilots into the seat, the characteristic wavering of its turbo-reactor J-79 and the powerful climbing in the sky incarnated for years the essence of aviation, flight and speed, of daring and passion, for this reason it has been loved and always will be by everyone.